Making your own Christmas decorations is fun. 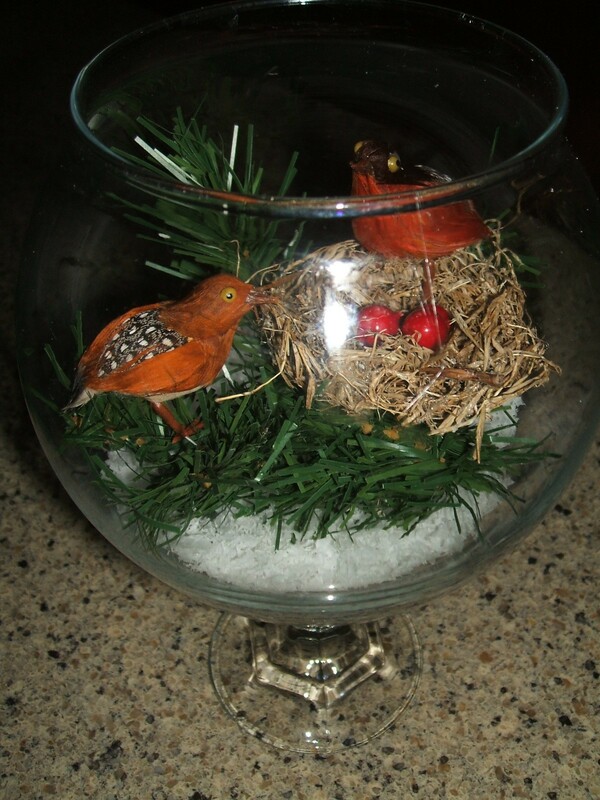 Not only will you start a family tradition, but you can also create many unique decorations. 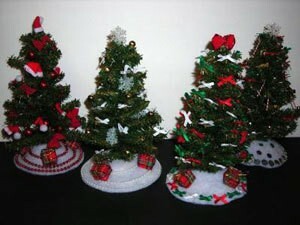 No matter what your crafting skills level or medium of choice there are numerous ideas available for decorations. 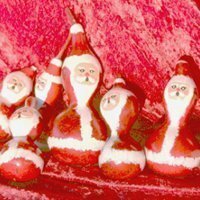 This is a guide about homemade Christmas decorations. 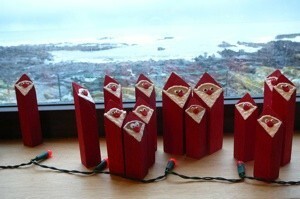 This is a guide about recycled wrapping paper Christmas lamps. 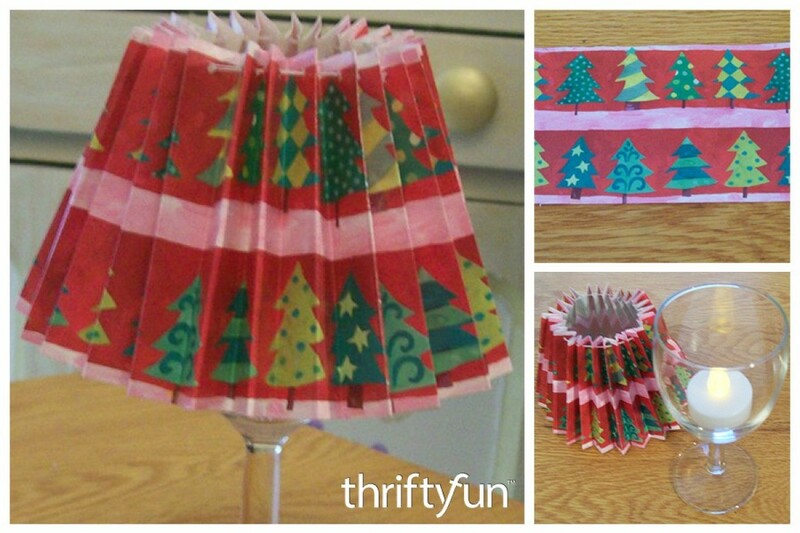 Using recycled wrapping paper, you can make mini lamp shades and create a unique lighted Christmas decoration. 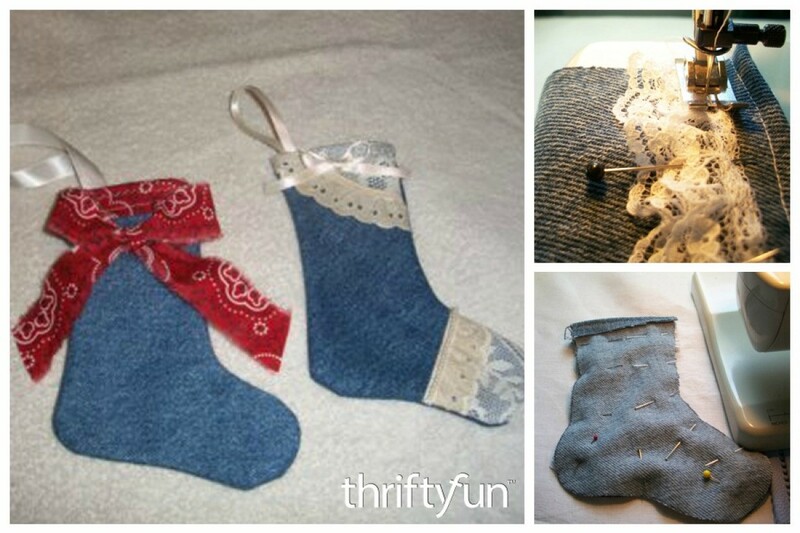 This is a guide about making mini denim Christmas stockings. Recycled fabric from denim jeans is perfect for making a lot of craft projects. 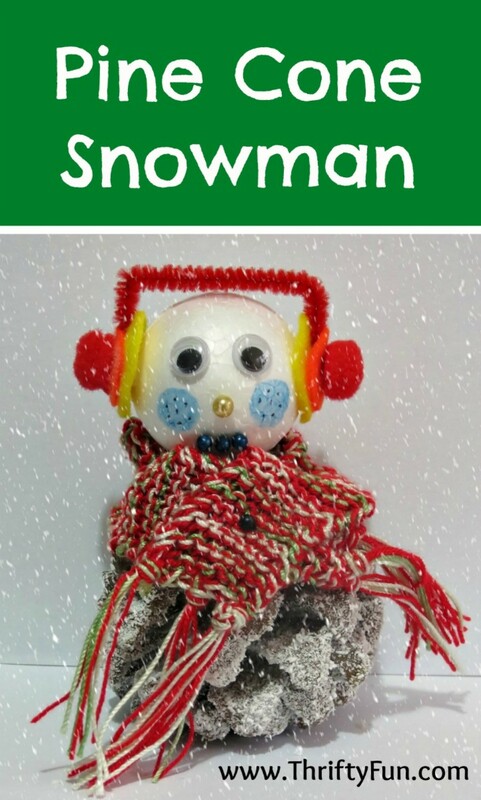 This is page features snowman craft ideas. 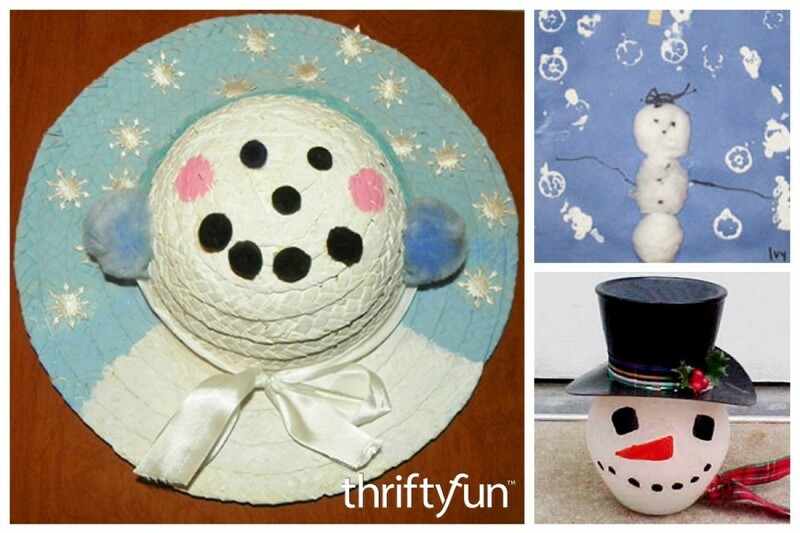 Include some of these cute snowmen craft ideas in your holiday decorating plans. This is a guide about making a popsicle stick penguin. 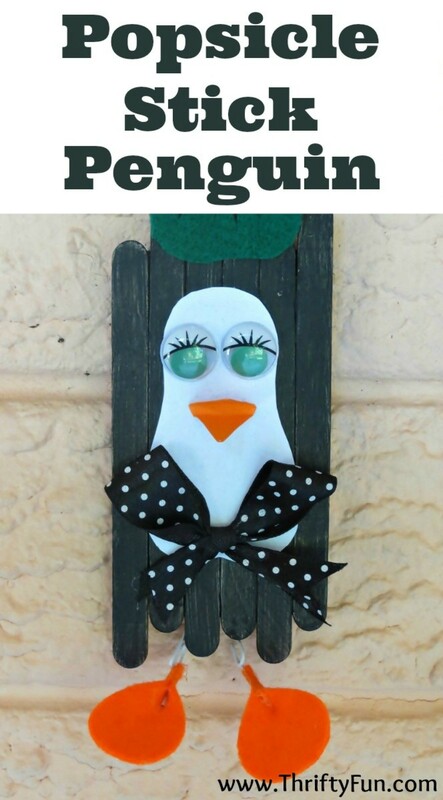 This project turn plain popsicle sticks into this adorable penguin decoration. This is a guide about making a pine cone snowman. 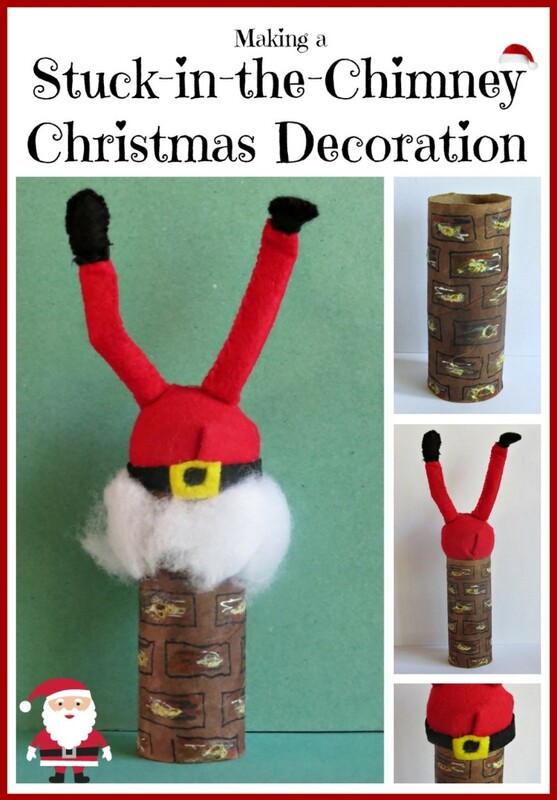 Turn on your creativity and design a cute snowman decoration beginning with a pine cone. Let the whole family join in the fun. This is a guide about making a stuck-in-the-chimney Christmas decoration. You and the kids can make this whimsical Christmas decoration using recycled and inexpensive supplies. This candle is easy to make and makes a very attractive centerpiece. It looks like a candle inside of chunks of snow. *The open work of the candle depends on the size of the broken ice used to make it. If the chunks of ice are too small, the candle will not have a lacy snowy appearance. Cut the top off the milk carton, wash thoroughly, let dry. Melt the wax. I melt mine in an old 2 quart measuring cup set in a pan of boiling water. The measuring cup makes the wax easier to pour. Holding the thin candle or wick in the center, fill the milk carton with the broken ice cubes, and immediately pour the hot wax into the ice-filled container. As soon as it has cooled, pour the water off and remove the carton. Place the candle on a saucer and decorate by putting a wide ribbon and bow around the bottom of the candle. Flowers may be put around the base, if desired. This is a particularly nice candle for Christmas because the clear/white wax looks like snow and you can place short pieces of pine branches around the base immediately below the ribbon. Source: I don't remember where the idea came from as I have been making these candles since I was a kid, and I am now retired. 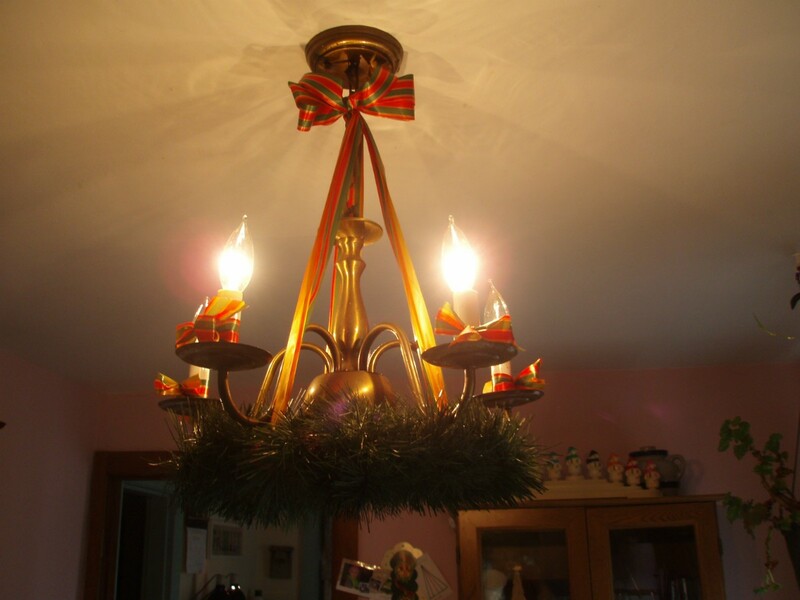 I spiced up my dining room light by adding a homemade wreath to the bottom of it. It was simple and cheap and I think it looks nice and homey! 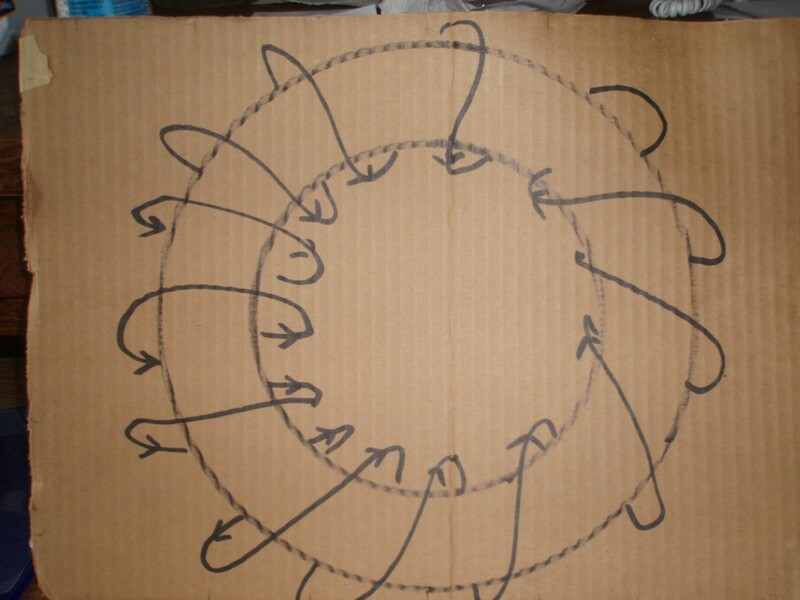 Simply cut a ring (I traced around a saucer and dinner dish) out of cardboard. I took a 15 foot fake evergreen garland (you could use real, but mine will be up for over a month so I went with artificial) that I bought at the Dollar Store and wrapped it as shown on the cardboard picture. Then I just tied 3 long evenly spaced ribbons around the wreath and held them all together at the top. I tied them together so they hung evenly and laced them through my light chains. I added little bows to the individual lights as an afterthought. I think it's festive over a table! What do you think? I was out and about, and I saw this beautiful Christmas tree. 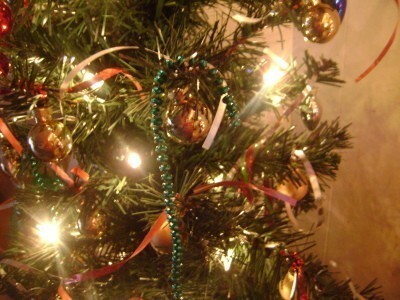 It had sections of metallic bead garland which had been cut into 8 inch or so pieces and hung on the tree. 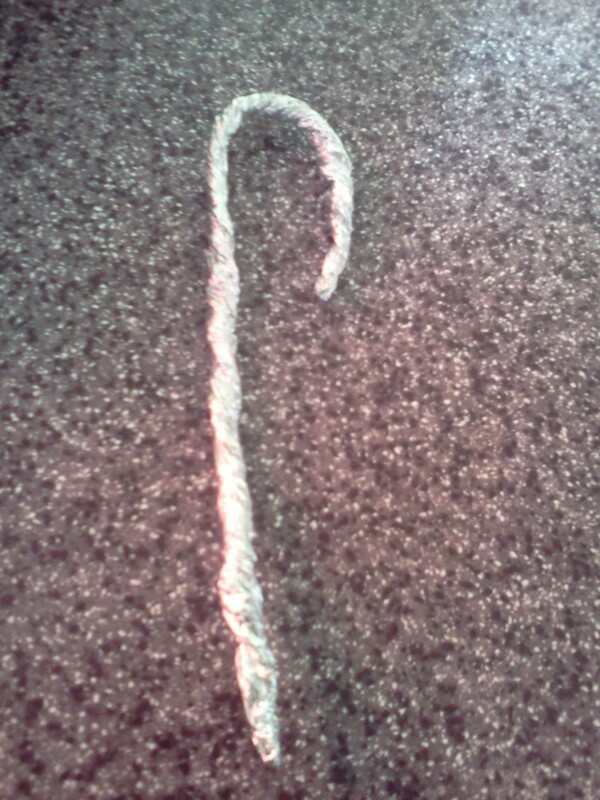 The way they hung them, the top was draped over to form the crook of a candy cane. 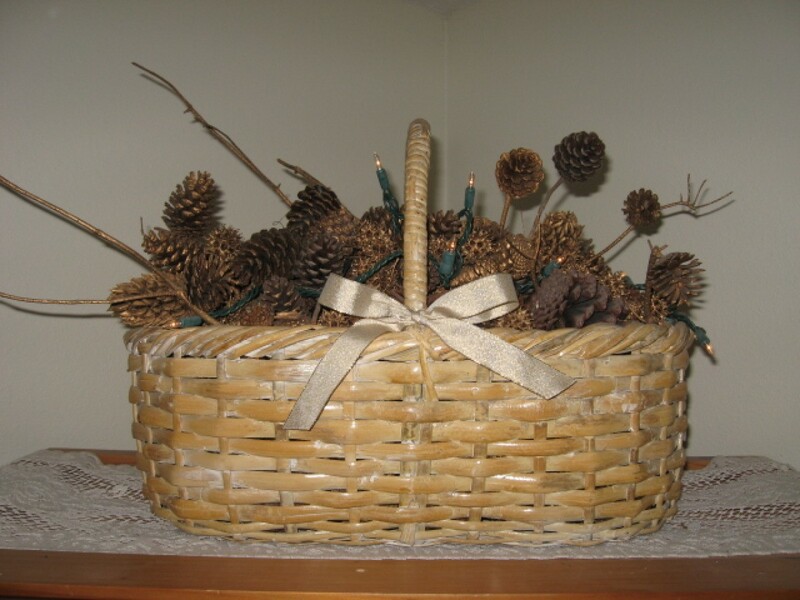 All you need for your lighted holiday basket (that can be used year round) is a nice large basket, a 50 light strand of Christmas tree lights, plenty of assorted sizes of pine cones, sweet gum balls, magnolia pods, etc. I saw a snow scene decoration similar to this in one of my December magazines and decided to replicate it since I already had most of the items on hand. Most of the supplies can be purchased at the dollar store, so it is economical to make. This basket light is very easy to make. 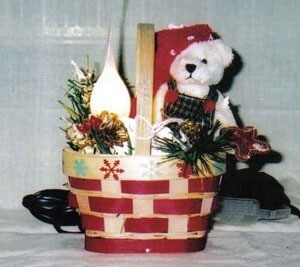 Buy a basket, small electric candle, an ornament of your choice and some greenery at your local craft store. Glue your candle into the basket and the remaining items. Makes a great Christmas gift. We needed something to do today so I came up with a quick easy fun craft. Take a sheet of aluminum foil, however big you want it, roll it up into a "stick", then you can roll it even more between your hands to make it tighter. These baby trees are adorable and made to fit anywhere, no matter how much space you have. It's a very easy project, all materials are pre-made. I was able to pick up all of my materials very cheaply at yard sales. 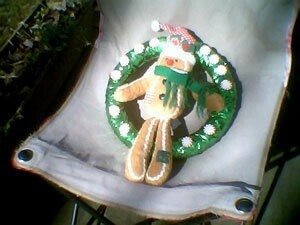 Here's a Gingerbread Man Wreath that is made from a styrofoam wreath, ribbon, gingerbread man, candies, and glue. 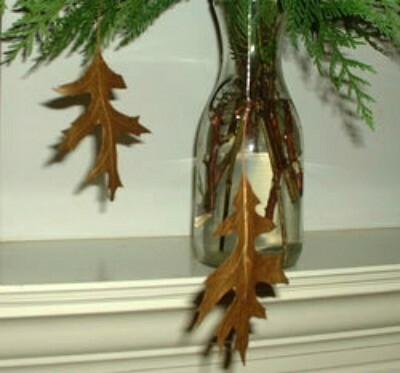 Metallic paint adds glitz to pressed leaves that can be hung in a window or off an evergreen bough for the holidays. 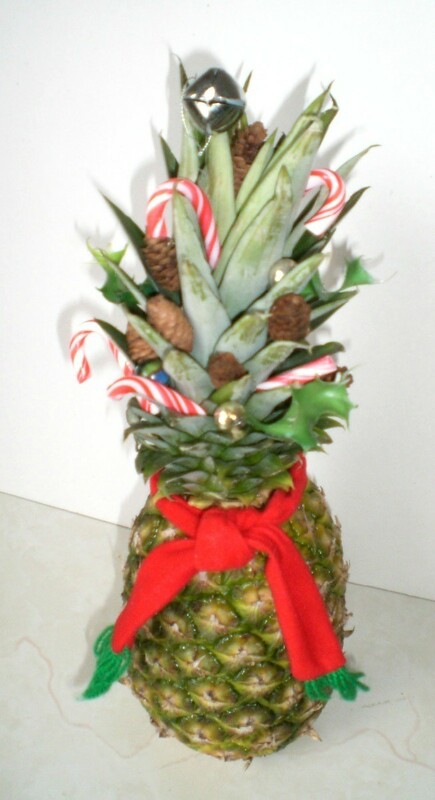 We constantly have pineapples in our home, but during Christmas nothing escapes my decorating! I thought this was a cute little decoration for the table or possibly the table of an elderly or single person. Cut wood at an angle. Paint with red acrylic paint, leaving the face part natural. Use fabric glue for the beard, red felt nose, and google eyes. I wanted to paint on jars and fill with Christmas lights but knew I wouldn't be happy with my "art" so I used the acrylic window clings. Just moisten the cling, put it on the inside of your clean jar where you want your "art" to be. 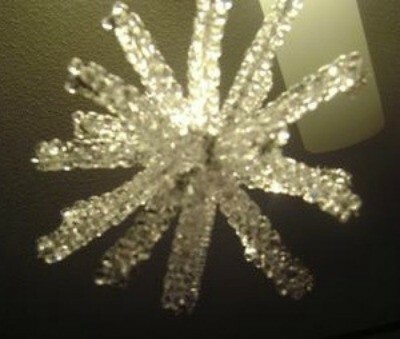 Snowflake made from beads and pipe cleaners. A decorative mailbox made from wood and posterboard. This is a quick and easy gift that packs a big punch. 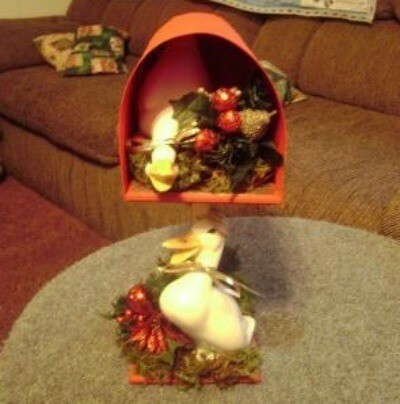 This will light up anyone's Christmas and is a great gift because holiday decorations are always appreciated. 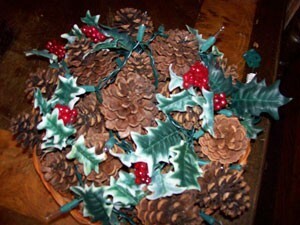 Get the kids together and gather your own pinecones it will make for a great outing.